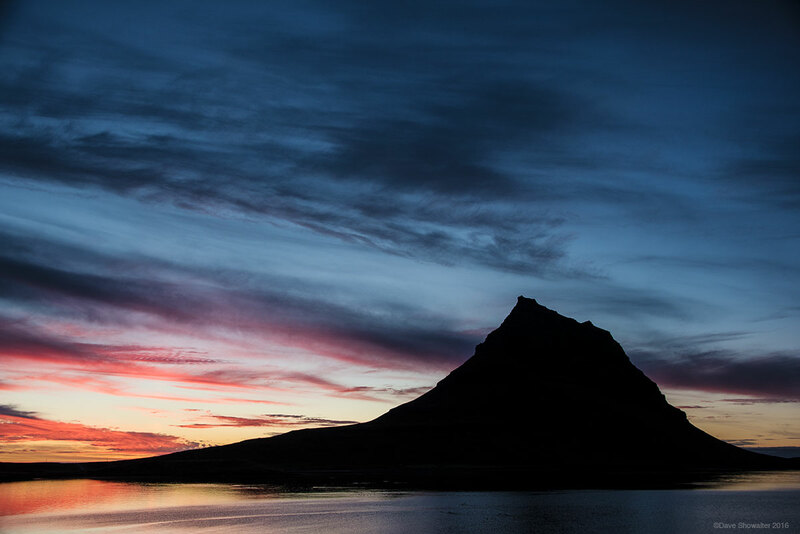 Kirkjufell Mountain stands in silhouette as sunset paints brushstrokes of color over "Church Mountain" and the sea. One of Iceland's most famous mountains, Kirkjufell is situated on the north Snaefellsnes Peninsula in western Iceland. Photo © copyright by Dave Showalter.